Recently an issue on the vuejs.org repository has been opened with the title "Replace Gitter chat with Discord server". The discussion is about how manageable Gitter currently is with over 10k users on gitter.im/vuejs/vue in which someone can easily get lost in the replies for different topics from different people. People tend to agree and the plan right now is to switch to Discord which seems to be an easier to follow product. Although Discrord is mostly used for chatting between gamers it may serve as a great solution because of its structure. 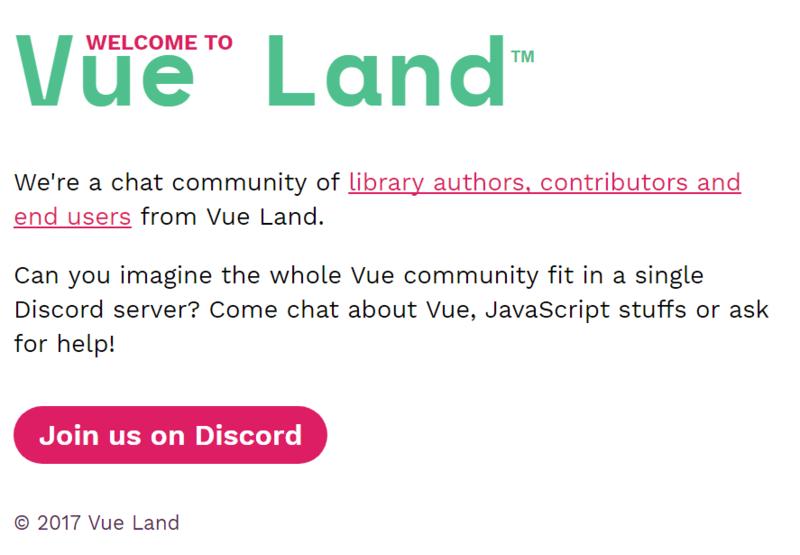 The goal is to have the whole community to Vue Land - the name of the Discord Server. Step up your game with a modern voice & text chat app. Crystal clear voice, multiple servers and channel support, mobile apps, and more. The server currently has multiple channels like #tooling, #ssr, #needhelp and more and you can use Discord as a downloadable app. 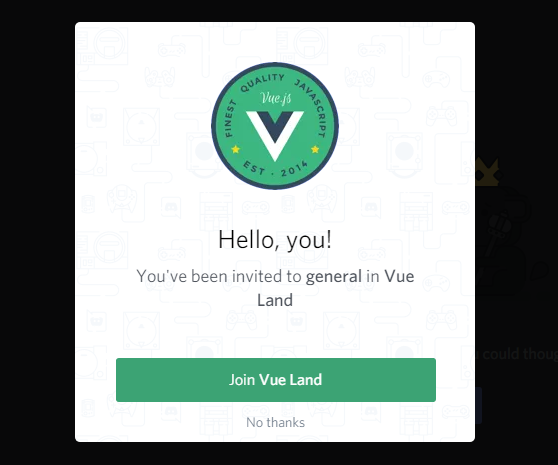 Can you imagine the whole Vue community fit in a single Discord server? If you are looking for channels for other languages you should stick with Gitter right now.